I love cooking with cast iron pans. They’re so versatile! My favorite part of cooking with a cast iron is being able to start on the stove and finish in the oven. I like to use them often, so it’s important that my cast iron care is up to par. What else is great about cast iron pans? They basically last forever as long as you take care of them! You can use them for just about everything, from searing to pan frying to simple techniques like making pancakes. Did you know you can even bake in a cast iron pan? Amazing! Lots of people think caring for cast irons is difficult. The seasoning part can be time-consuming but you only need to season least twice a year, with regular upkeep in between. It’s definitely worth it, trust me! The more you care for your cast iron, the longer it’ll last. Scrub the entire pan with steel wool (Scotch-Brite, Brillo pad), hot water, and a mild dish soap. Make sure to completely towel dry the pan to prevent rusting. Once that’s done, place it on the stove top to dry completely. Remember that water causes rust, so this is the most important step. Add a thin layer of oil over the entire pan, bottom and handle included. Then take the dry side of your paper towel and wipe off the excess oil. Leaving too much oil will cause it to become sticky. Heat your oven to the highest it’ll go (450-500 degrees.) Make sure it’s super hot. The high heat is what causes the oil to break down and create a bond with the cast iron. A low heated oven will just cause the oil to be sticky. You should have a glossy coating on your cast iron. This layer of oil will protect it and create that awesome nonstick finish. It’s ready to use! Your meats and veggies will come out perfect every time you use your cast iron. You just finished your seasoning process and you’ll only need to do it one more time this year. Yay you! Start the cleaning process while the pan is still warm. If you let it cool too much, it’ll create a more sticky surface that’s harder to clean. Skip the soap, you won’t need it with this method. Use salt and a non-metal sponge to clean any excess food on the pan. If this salt method is not working completely, you can use a bit of mild soap to help the process. Contrary to popular belief, soap won’t ruin the seasoning if you’ve seasoned your cast iron properly. No need to worry! Completely dry it on the stove top or hot oven. Remember that water will rust your pan and this is definitely the most important step to remember. Add a protective layer of oil and heat it on the stove or in the oven until it starts smoking. Your cast iron is now ready to be used to cook again! With these simple cast iron care tips from Buzzfeed’s Tasty crew, you’ll have a cast iron that will be ready to use every time. Best part? You’ll never have to replace your cast iron again. This article was originally published on Buzzfeed. Love your cast iron cookware? 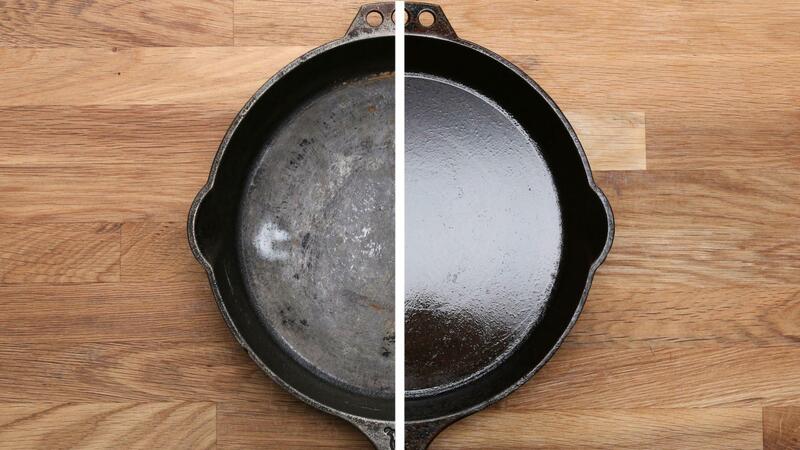 Learn the best cast iron care strategies to make sure your cookware lasts a lifetime! You'll be surprised how easy it is. Maria is the marketing assistant and assistant editor for Feeding My Kid. 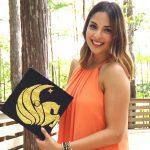 She graduated from the University of Central Florida (Charge On!) with a B.A in Communication. Her professional interests include marketing, advertising, branding, and using strategic efforts to connect with an audience through social media. When she's not working, she enjoys spending time with friends and family. Her interests include cooking, nutrition, and healthifying different recipes. As a foodie and amateur chef, she believes it's important to teach kids about all types of food so they can make healthy decisions later on in life. Easy Rice Pilaf with Lamb. Delicious and Gluten-Free!